Edward Hussey Delaval (born 1729; died 14 August 1814 in Westminster) was a British scholar and natural philosopher. He was the third son of Francis Blake Delaval and his wife Rhoda Apreece. He was educated at Pembroke College, Cambridge, admitted in 1747; he graduated B.A. in 1750, M.A. in 1754, and became a Fellow there in 1755. There also he knew the poet Thomas Gray. Delaval inherited both Seaton Delaval Hall in Northumberland and Doddington Hall in Lincolnshire, but preferred to live in London. He died at the age of 85 and was buried in Westminster Abbey. Delaval shared the 1766 Copley Medal where he was cited for his research on metals and glass. His interest in glass included its use in music. His performances on musical glasses became well-known, and may have inspired Benjamin Franklin's glass harmonica. Delaval married Sarah Scott (1751–1829), daughter of George Scott of Methley; they had a daughter Sarah Hussey Gunman née Delaval (c1780–1825). Seaton Delaval was inherited by his nephew Sir Jacob Astley, 5th Baronet, whose mother Rhoda Astley, wife of Sir Edward Astley, 4th Baronet, was Delaval's sister. Doddington Hall was left to Sarah. ^ Martin Green, The Delavals: A Family History (2010). ^ "Astley, Jacob Henry (1756–1817), of Melton Constable, Norf., History of Parliament Online". Retrieved 23 July 2015. Baron Hastings is a title that has been created three times. 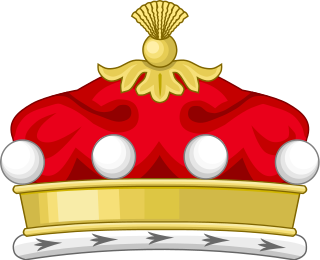 The first creation was in the Peerage of England in 1290, and is extant. The second creation was in the Peerage of England in 1299, and became extinct on the death of the first holder in c. 1314. The third creation was in the Peerage of England in 1461, and has been in abeyance since 1960. Delaval is the surname of a family of gentry/aristocracy in Northumberland, England, from the 11th century to the 19th century. Their main estate was the manor of Seaton Delaval. The 18th century Delavals are noteworthy for their colourful lifestyle, for the magnificent Seaton Delaval Hall and for the development of the little seaport of Seaton Sluice and a coal mine at Old Hartley. Seaton Sluice is a village divided by a bridge, across the Seaton Burn, situated in Northumberland. It lies on the coast at the mouth of the Seaton Burn, midway between Whitley Bay and Blyth. It has a population of about 3,000 people. The Broughton, later Broughton-Delves, later Broughton Baronetcy, of Broughton in the County of Stafford, is a title in the Baronetage of England. It was created on 10 March 1661 for Sir Brian Broughton, of Broughton Hall, near Eccleshall, Staffordshire, High Sheriff of Staffordshire from 1660 to 1661 and the member of an ancient Staffordshire family. Sir Jacob Astley, 1st Baronet of Melton Constable Hall, Norfolk was an English Tory politician and baronet. John Hussey Delaval, 1st Baron Delaval, known as Sir John Delaval, Bt, between 1761 and 1783, was an English landowner and politician. Melton Constable Hall is a large country house in the parish of Melton Constable, Norfolk, England designed in the Christopher Wren style and built between 1664 and 1670 for the Astley family who owned the estate from 1235 until 1948. The core of the house is Elizabethan. Sir Francis Blake Delaval KB was a British actor, soldier and Member of Parliament. He had a privileged and aristocratic education at Westminster School, Eton College and then Christ Church at Oxford University. Rhoda Delaval Astley was an English aristocrat and artist. She was married to Edward Astley, with whom she had a daughter and three sons. Lady Astley studied painting with Arthur Pond, who painted her portrait. Seaton Delaval Hall passed from the Delaval family to the Astley family through her descendants. George Manners Astley, 20th Baron Hastings, 10th Baronet Astley became the heir to the Hastings barony upon the death of his unmarried brother in 1875. Sir Jacob Henry Astley, 5th Baronet was an English landowner and Member of Parliament.